The bowl of dry pork noodles (MYR6/USD2 per serving) at OUG’s Sun Sea Restaurant contains all the works of a typical portion; including crispy lard fritters (chu yau char), drizzled generously with lard oil and minced pork patties. But what sets theirs apart from the others are the addition of seafood (squid and shrimps) and cabbage. It’s not easy searching for a good hawker place for breakfast in Kuala Lumpur. When I punched into Google the search terms “Breakfast in KL” or “Brunch in KL”, a laundry list of breakfast/brunch cafes was displayed. Pages after pages of reviews on all-day breakfast establishments, boutique cafes, gourmet coffee places, confectioneries, etc blinded my sight. 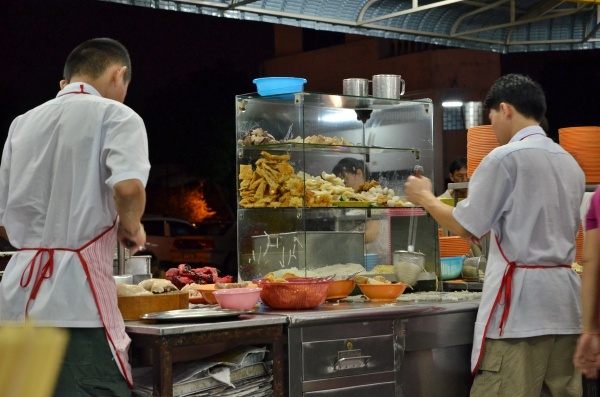 So, street food in KL has become ‘yesterday’s story’ for good? Here I was, just seeking for a humble joint to satisfy the hawker food cravings on a Sunday morning. 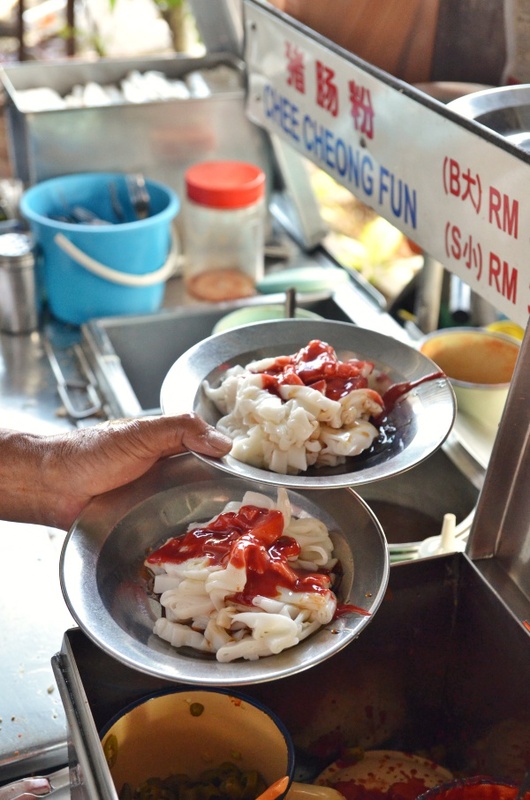 And I have grown slightly weary of O&S or Annie 1 (don’t get me wrong, they still serve some of the best hawker fares around; though the latter can never be categorised in the same league as conventional hawker stalls). 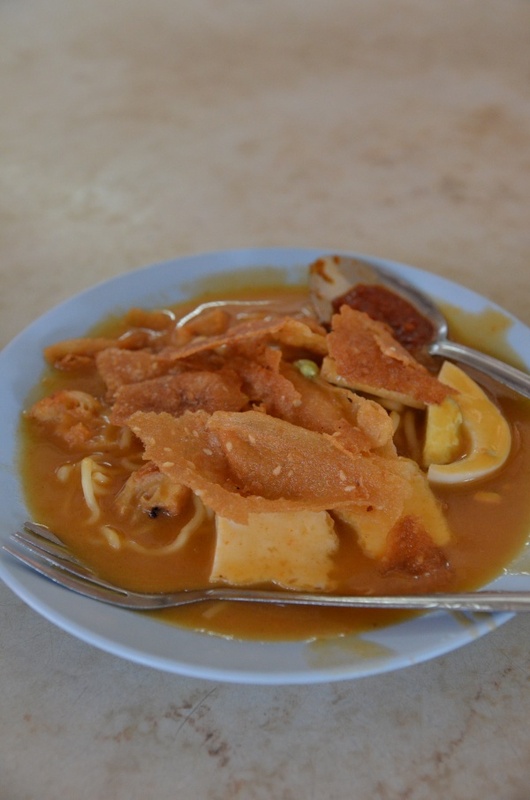 I believe it goes without saying that Ipoh’s fairly well known for the noodles. 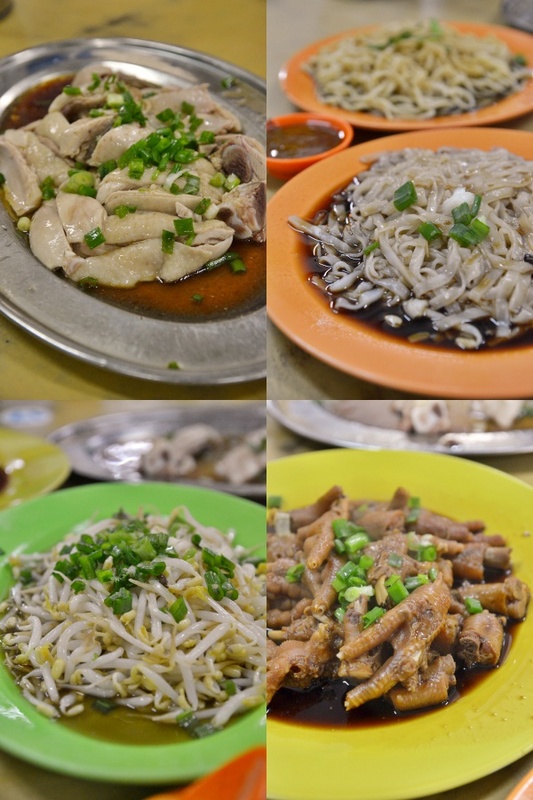 Where Sar Hor Fun (or better known through its generic term – kuey teow or flat rice noodles) has earned a massive following thanks to the success of Ipoh bean sprouts chicken, the rest of the noodle-based delights such as Chee Cheong Fun, Curry Noodles and Hakka Mee remain dormant yet gradually earning their stripes. 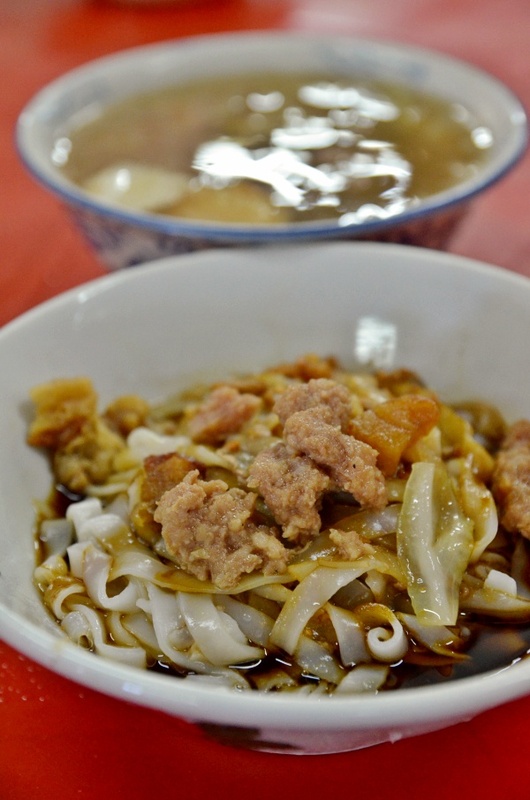 The Chinese culture in Ipoh has traditionally embraced the concept of a hearty start to the day; where breakfasts of champions reign supreme and a bowl of cereals, an energy bar or plain steamed bread just won’t cut it. The terrifyingly congested dim sum street along Leong Sin Nam road for one; a breathing proof of our love for kick starting the day with savouries; and the same goes for coffee shops in old town populated by various noodle stalls. 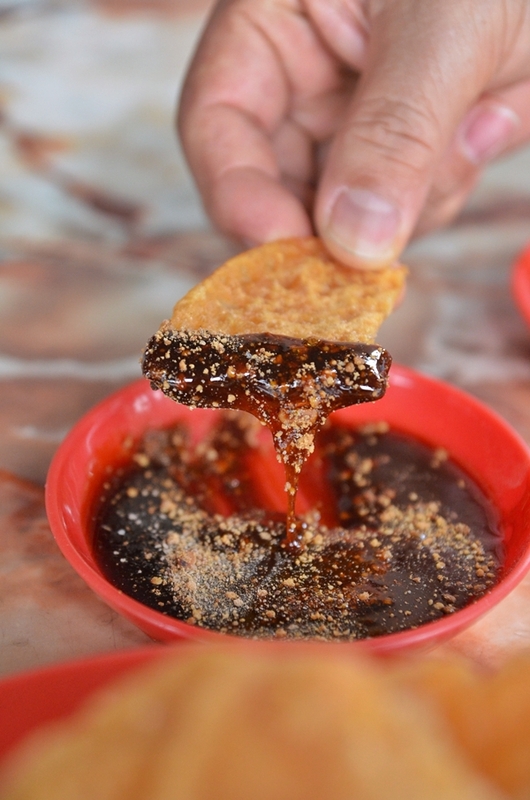 Possibly one of the few places that serve the rojak dipping sauce separately from the ensemble of cut fresh fruits; Jelapang Rojak Stall could be one of Ipoh’s best kept secret. Are you back for Qing Ming Festival? The filial ones would be paying their annual tribute to the departed loved ones/ancestors; visiting and cleaning up burial grounds despite the relentless scorching weather and gathering with family members back in their hometowns. What happens after the prayers and tribute? 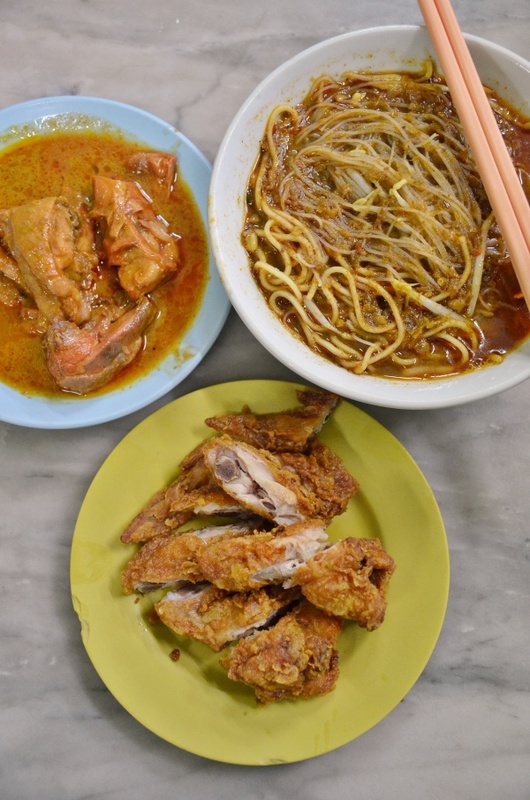 If you’re back in Ipoh, then you should really be eating. 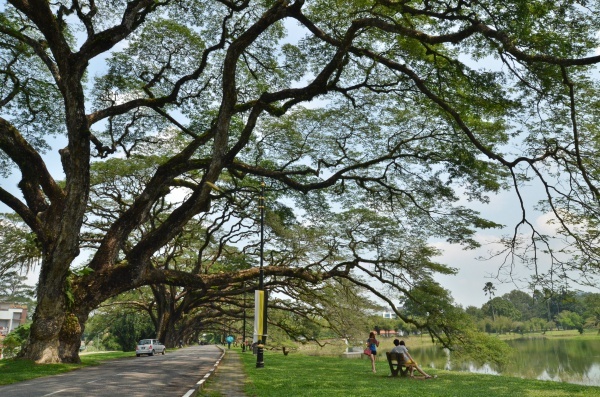 Already bored of the usual tourist haunts and seeking to avoid the crowd? Let me share with you a rojak (rojak is a typical Malaysian style of fruit salad served with crackers and a black sauce concocted from shrimp paste, sugar and crushed peanuts) stall nestled deep within the neighbourhood of Jelapang that has been the talk of town for decades now.